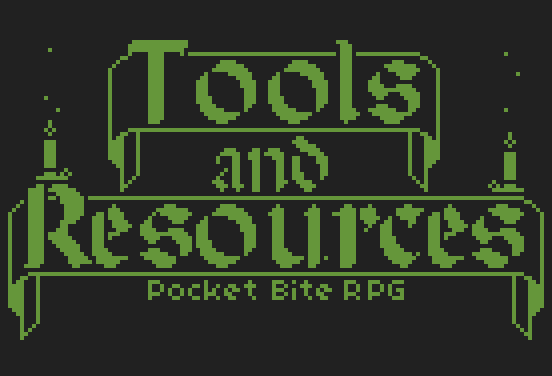 Below, you will find a number of tools and resources you can download to use in your own Pocket Bite adventure! Things like character sheets and a dice roller app will make playing even easier and more enjoyable for your whole party! When you click on the Download Now button at the top or bottom of the page, you will be taken to a screen where you may choose to donate or skip to the downloads page. From there you can select the download you want. 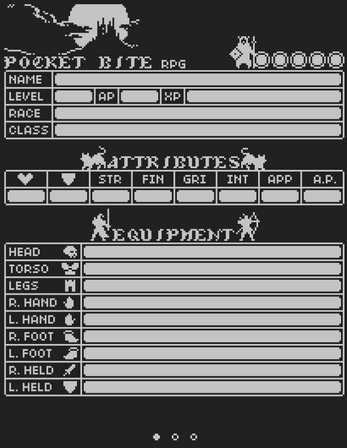 These tools and resources are meant to accompany Pocket Bite RPG, an easy to understand and quick to learn, storytelling, multiplayer role-playing game (RPG). To learn how to play, follow the link below to the Pocket Bite website where you will find all the rules as well as many helpful resources to get you started! Pocket Bite d20 Dice Update! 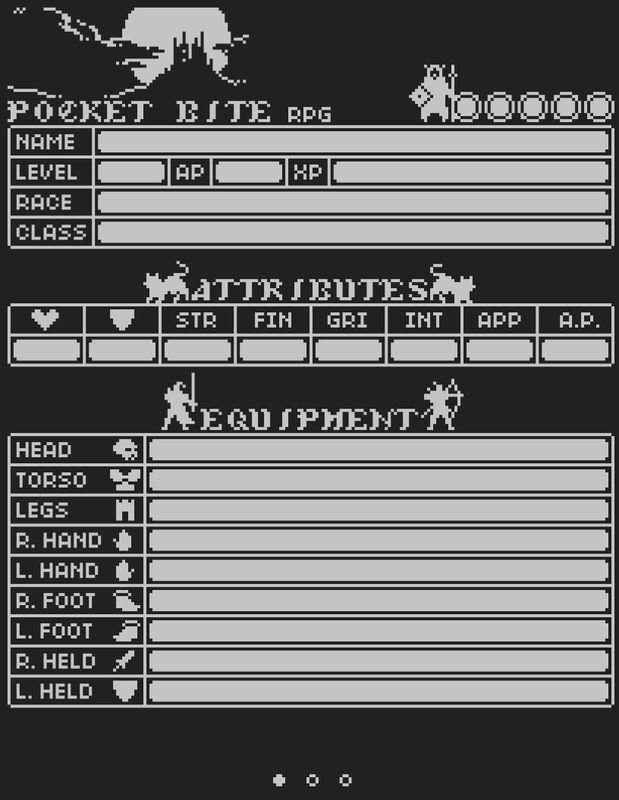 Pocket Bite Tools Initial Release!